The interesting aspect of the word “modern” when used in relation to appliances, is it can mean one of three things, all of which are very different. Our aim with this extensive modern kitchen appliance guide is to provide information for every meaning. Modern cooking technique appliances such as sous-vide. 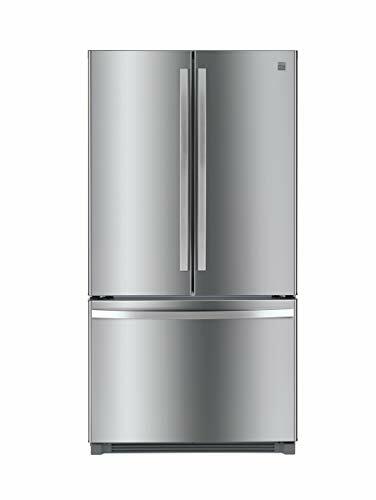 Hence this article is broken up into those 3 topics, each of which we cover in-depth and provide a nice collection of examples for all major appliances as well as some small appliances. Chances are, you’re looking for modern kitchen appliance design ideas, so that’s our first section. I watch the TV show Silicon Valley. There was one episode where one of the coders bought a smart fridge for the house where it actually scanned products and automatically generated shopping lists as food items were consumed. It was super cool. Of course, TV being TV had to make it more interesting by another of the coders in the house hacking the fridge making it do some funny stuff with memes on the screen etc. What genius finally came up with a glass door for the fridge? How often have you opened a fridge just staring trying to decide what to eat or drink. This is awesome, but it’s hardly SMART Technology. Stainless steel refrigerator with freezer on the bottom. Black modern side-by-side fridge with freezer on left and refrigerator on the right. 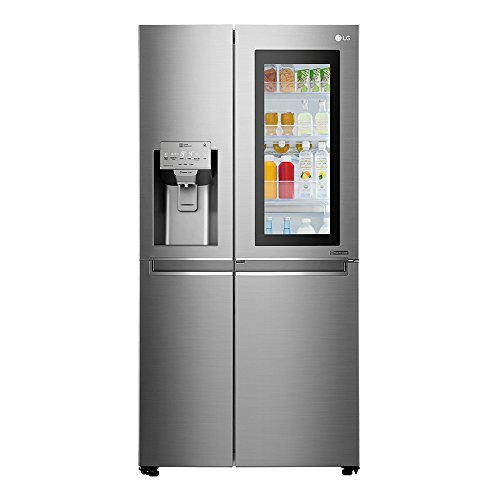 Stainless steel smart fridge with full screen-style control panel. Freezer on bottom. Toaster design is awesome as you’ll see below. I think designers are coming up with some great ideas after decades of being stagnate. 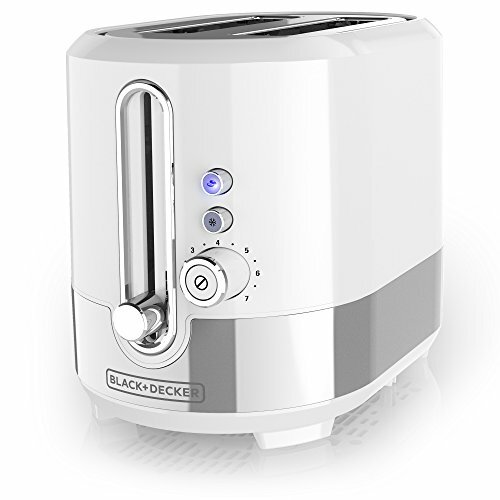 Also check out our different types of toasters article here. 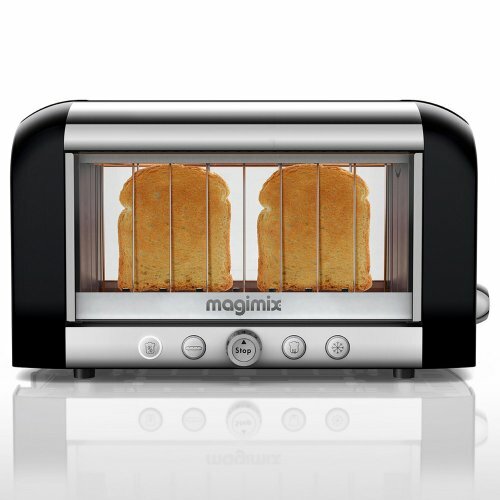 Cool modern toaster with glass sides so you can see the toast toasting. I’m amazed this design didn’t come out earlier. It’s an easy way to see if your toast is done. 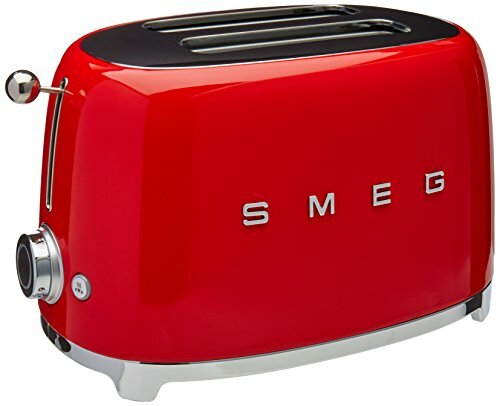 Red modern retro toaster. This is so cool for the right kitchen. It wouldn’t work in a rustic style kitchen but it totally works in a modern or midcentury or industrial style kitchen. 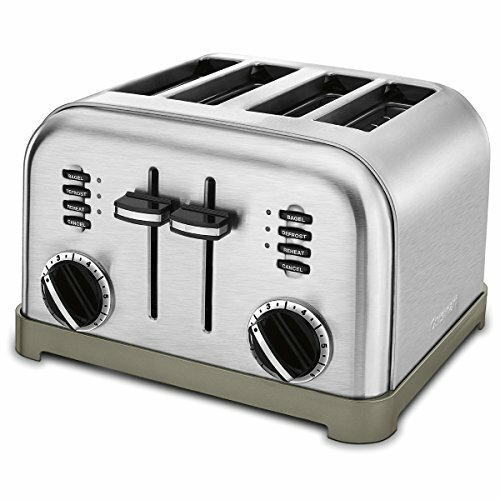 Here’s a retro style stainless steel toaster that would work in most kitchen designs. This thing hardly looks like a toaster. It’s awesome with its curved design. 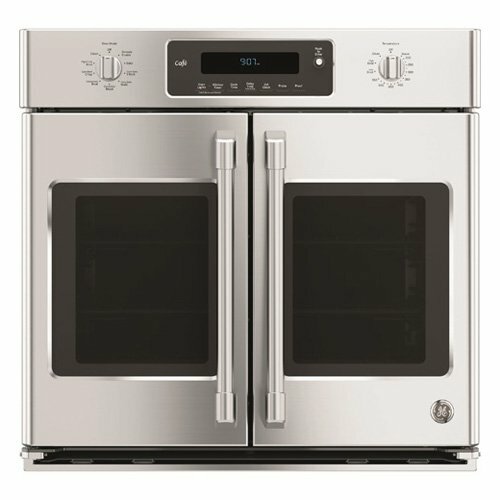 I also really like the white exterior… who says appliances need to be stainless steel in order to look great. 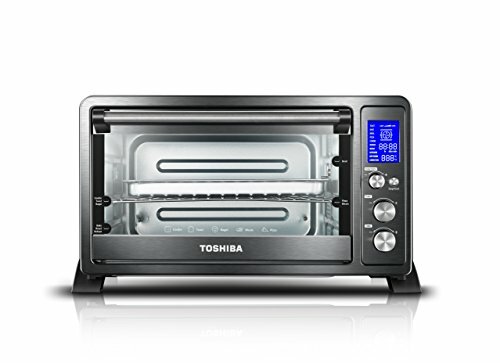 Toaster oven design is pretty exciting. There are lots of options. 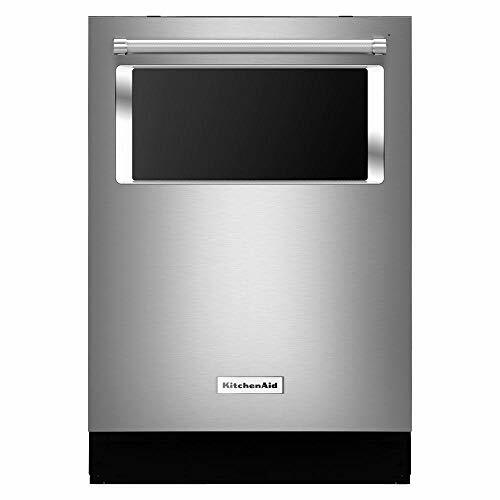 You can go with a standard look or use the toaster oven to accent your kitchen. Yes, you can use small appliances to add accent design elements in your kitchen. Another retro modern small appliance with white exterior. 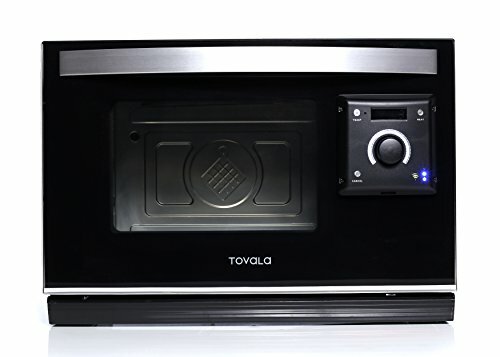 This particular toaster oven uses steam heat for cooking. This is a cool space-age looking glass-faced toaster oven with blue screen. Microwave technology hasn’t changed too much over the years. At the heart of it, they microwave food. Even the designs haven’t evolved much. However, we chose a few modern microwaves and set them out below. Keep in mind that there are different types of microwaves that I discuss here. This definitely has a modern look to it, but I don’t really like it. I like a glass face on my microwaves. However, I included it because it does look modern and I prefer to be more inclusive. Sure, this doesn’t have some cool space-age look to it, but it has a new design in that it fits in the corner. 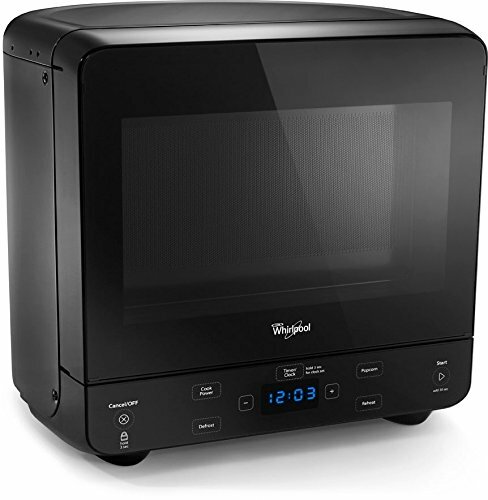 Corner spaces are often wasted so this microwave solves that problem by fitting in the corner. I like it. 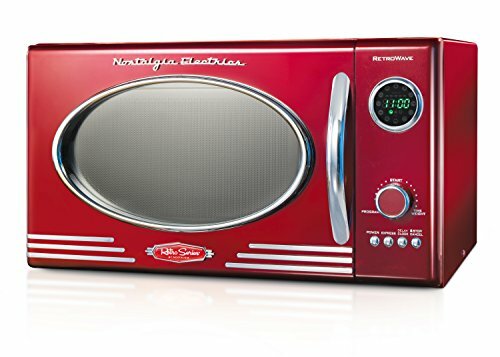 I’d be remiss to not include a modern retro style microwave in our list. This is a great design – flashback from the 1950’s. Ironically, microwaves weren’t available to the mass public back then. Apart from being stylish, the unique Old World door configuration of these ovens makes them a great choice for kitchens in which space is limited. 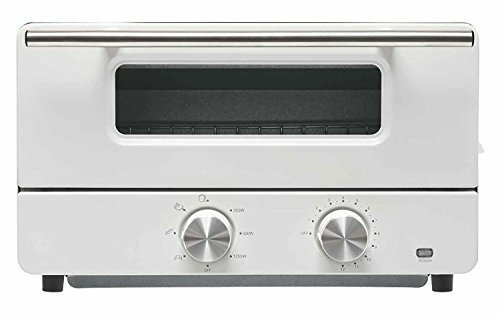 The latest models such as the new General Electric Monogram features Wi-Fi connectivity, so you can control its function and baking regimen remotely with your smartphone. The racks that glide effortlessly on stainless steel bearings are designed to remain inside during the oven’s steam self-cleaning cycles. It looks great, but I’m not so sure a french door oven is the best design for functionality. It’s harder to open up the oven with one hand. The plus side is you don’t have lean over a large drop-down door. I guess has pros and cons. We don’t have this type so I can’t comment from personal experience. Most houses get wall ovens these days. It’s the norm. Here’s an example of a modern design in black and stainless steel. I love the minimalist design for this oven. It’s simple and sleek. I think there are some very exciting designs for coffee makers. 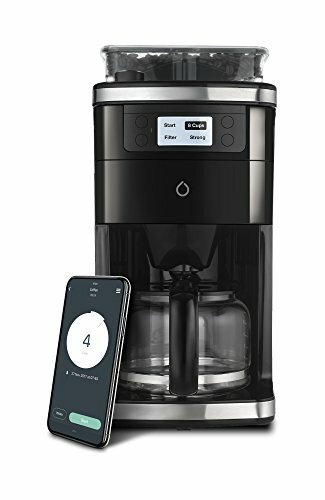 The thing with this small appliances is that there are many coffee maker options based on the type of coffee you like to make – drip, percolator, espresso, single cup, etc. 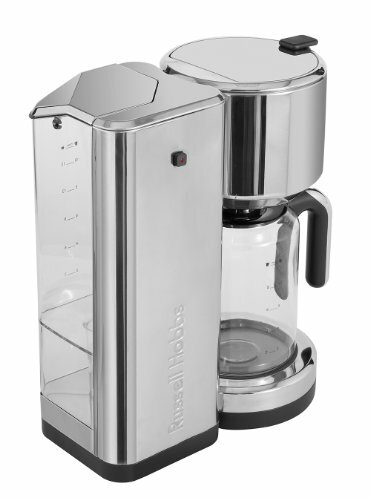 Below is a collection of various coffee makers with a modern design. 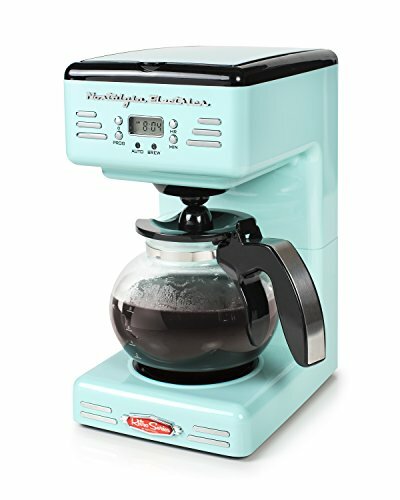 We kick off our modern coffee maker designs with this funky retro drip maker that you would find in some 1950’s diner. This is definitely an accent small appliance. I love this coffee maker. I bought it and tested it. It makes single cup as well as other beverages. It looks fabulous too. 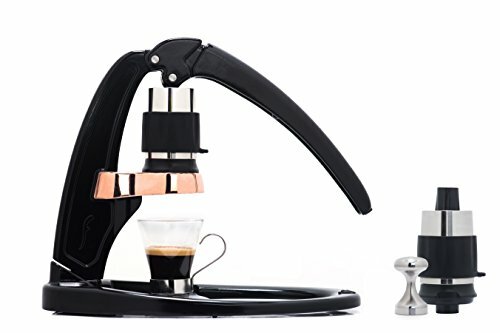 This is definitely a cool drip coffee maker. Who knew a drip coffee maker could look so up-to-date. I like this design and I love the huge water reservoir. 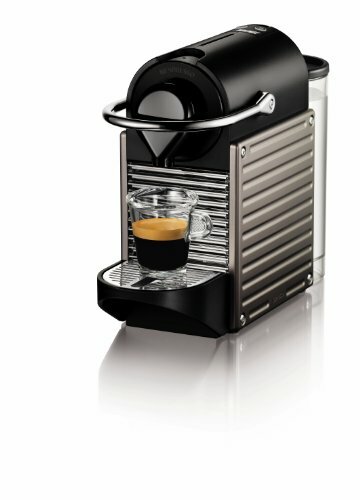 I love Nespresso coffee as well as their designs. They put as much effort into design as the quality of their espresso. 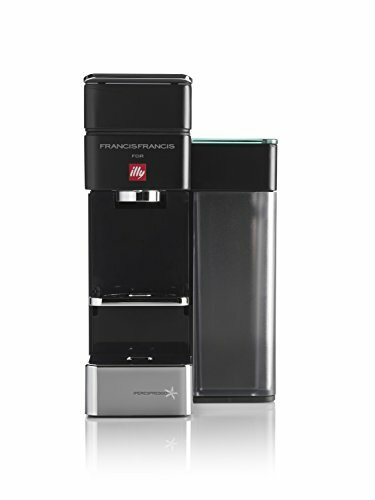 How’s that for a modern espresso maker design-wise? Our dishwasher is a boring white, inexpensive thing that gets the job done. In our former house, we had a spectacular sleek, stainless dishwasher that did a spectacular job. We inherited our current model and can’t be bothered to shell out $800 or more for something better so for now we stick with boring. However, if you’re buying a dishwasher, you don’t have to settle for boring. You can get something exciting and modern. 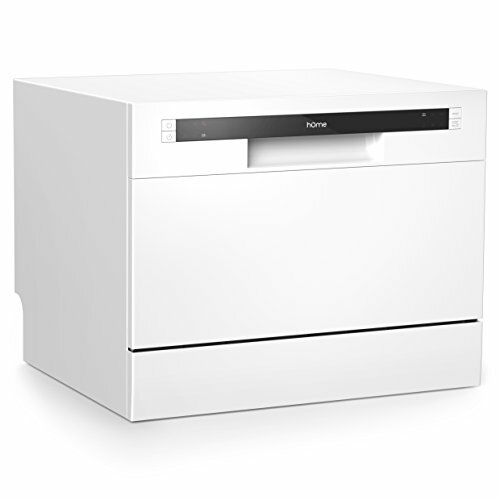 Here are some examples of the latest in modern dishwasher design. 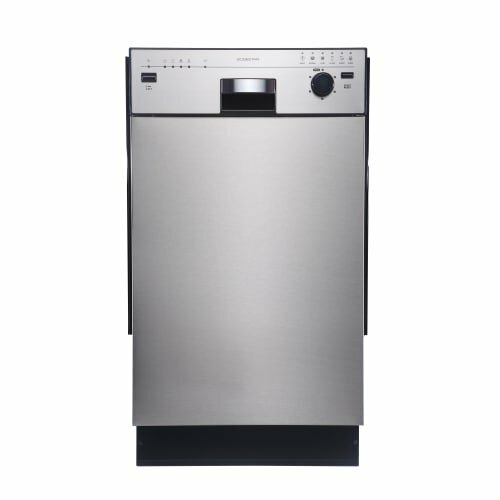 This is a standard modern dishwasher design that would look good in most kitchens. Our first dishwasher was a portable type on wheels that hooked up to the sink faucet. It was cumbersome and got in the way, but it sure beat washing dishes by hand. Here’s something that’s a better design because it sits on the counter. This is about as innovative as dishwasher design has come – they added a window in the door. I’m not sure I get the purpose of being able to look inside except that 3-year-olds might find it interesting for about 2 minutes. While not modern, the concept is relatively new and that is to make appliances blend into cabinet design. I don’t think this is as popular as some people expected it to be. There’s something cool about appliances having a bold appearance within the kitchen – hence the current popularity of stainless steel. Source: Monogram. The acronym SMART is short for “Self-Monitoring Analysis And Reporting Technology.” Our lives are more and more influenced and intertwined with SMART technology and we are becoming dependent on the benefits it provides us with. The main purpose of SMART is to make our busy lives run smoothly and relieve us from the troubles of dealing with all those techy stuff and dedicate our precious time to something else. It helps us save energy, save money and it gives us a sense of security. Just by using a smartphone app we can adjust the temperature of the fridge, tell the oven when we want our lunch to be ready and make the cup of coffee just the way we want. Those smart appliances can really improve our lifestyle and allow us to prepare more healthy and delicious food for our families and ironically, maybe this is how all this new technology is finally going to help us become more human after all. In the age when HAPI cutlery is Bluetooth enabled to track your eating stats in real time, it shouldn’t surprise that the refrigerators feature giant tablets packed with mobile apps like StickiBoard and Shopping List. 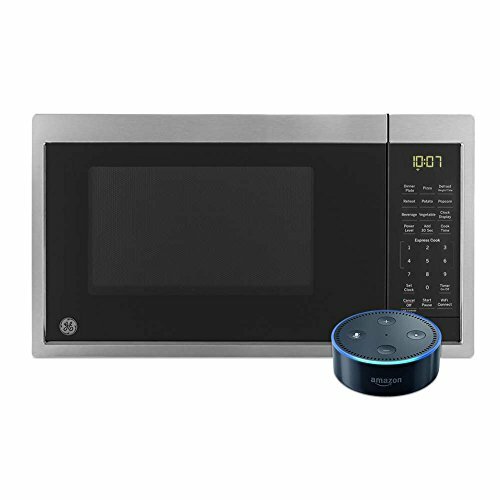 Even the Basics Microwave connects seamlessly with the Alexa home integration device, ready to take your orders. Using the free WeMo-app, the Wi-Fi enabled Crock-Pot Slow Cooker lets you adjust setting from wherever you are. Far from being a hype or novelty that will expire till the next Christmas, the smart technologies implemented in these appliances can truly improve your lifestyle and allow you to easily prepare delicious and healthy meals for your family with a large chef’s hat. Below we set out some examples of SMART appliances. 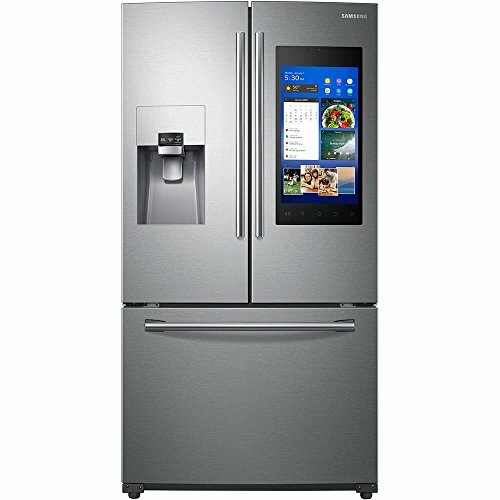 What does SMART tech do for fridges? 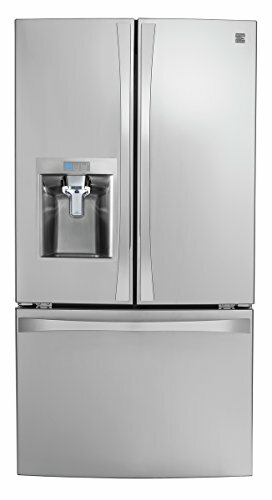 Each one may vary with respect to precisely what it can do, but here’s a laundry list of SMART refrigerator capabilities (please be sure to read the details for each fridge features because not all offer this list of features – the following is a general set of features that SMART tech can do. App integration: Yup, if you go with a SMART fridge, you need another app. The app enables you to control your fridge’s temperature from anywhere. Frankly, I don’t know why you would need to do this. I would not pay for this feature. Notifications: If the door is left open, you get an alert that it’s open. This is kinda good especially since we have kids at home who sometimes leave the door open. I think a better technology is that the door closes automatically. Temperature alerts: True story – about 3 months ago our fridge malfunctioned and we didn’t notice until it started stinking a day or two later. It turned out to be a super easy fix so we didn’t need a new fridge, but we had to toss out a lot of food, including the freezer food. Temperature alert technology is pretty cool. 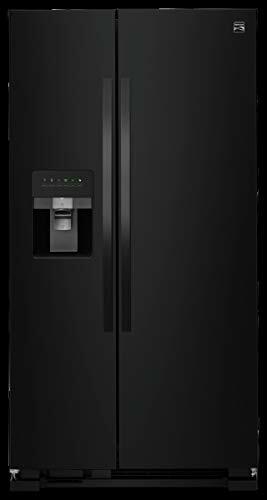 Voice control: Some refrigerators connect with voice control home devices like Alexa so that you can issue commands. One example is to command it to change temperature. I really don’t understand why you would need this. Is SMART worth it for a refrigerator? In my view it’s not. I couldn’t be bothered to download the app needed. A fridge just keeps stuff cold and frozen. As long as it does that, I’m good. If, however, it auto-generated shopping lists, that I could get excited about. Until then, I don’t see SMART fridge’s being so popular… but no doubt it will get there. It’s early stages right now. 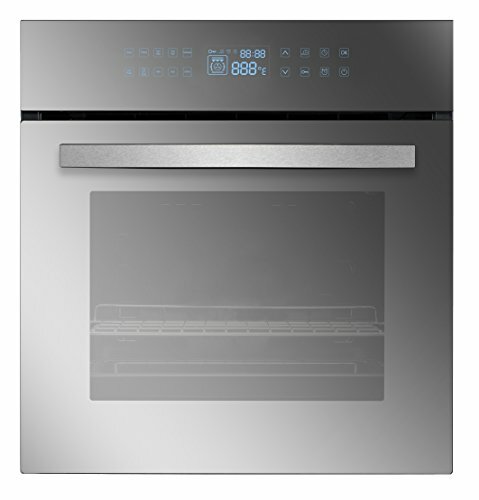 I think SMART ovens offer much more than a SMART fridge. I like the idea of being able to preheat the oven from a distance. I also like the idea of programming different cooking temperatures and durations for different types of food such as a 20 pound turkey etc. Another great feature is receiving notificiations when food is ready. This leaves you free to go to the garage or backyard when something is in the oven. I wear an Apple Watch so I get notifications on it. All in all, a SMART oven is a great idea. Here’s an example. 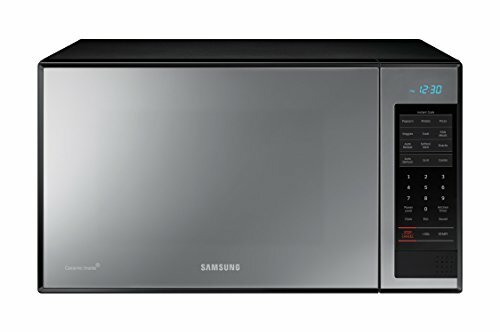 What does a SMART microwave do? It lets you control it with your voice if integrated with Amazon Echo (for example). But this is what I don’t understand. I don’t really see how that’s all that much of a convenience because you have to walk to it and put in the item you’re microwaving anyway. I guess it saves you time from hitting a couple of buttons, but I’m not sure I’d use voice commands instead of pushing the quick start. How about you? 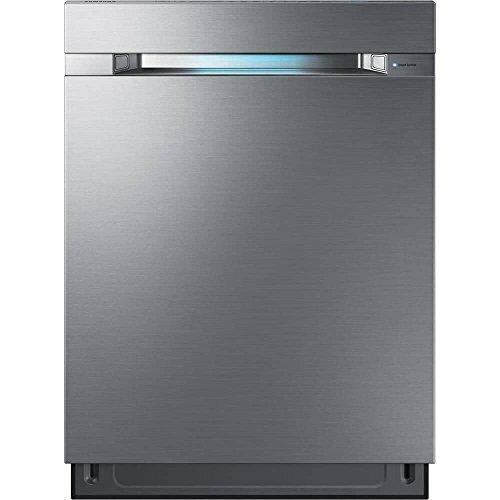 What does SMART dishwasher technology do? SMART dishwasher technology is pretty cool. Here’s a rundown on what it does. Control it anywhere: You can turn it on from a distance. This could be handy. Lock/unlock from anywhere: You can lock it up for safety purposes. Another handy feature. Sensors: I love this – it includes sensors to sense amount of food grime and particles on dishes and will adjust water spray and cleaning power to clean it. Assuming it works, that’s cool. Alerts: you can get alerts telling you when dishwasher detergent is low and/or when a cycle is done. That could be handy – although at some point we’re going to get super annoyed with all the alerts. I think I’m there already. Note, this dishwasher like other SMART options don’t have very good customer reviews. I have a hunch this technology is not as functional as it should be. In time though, it’ll be cool. 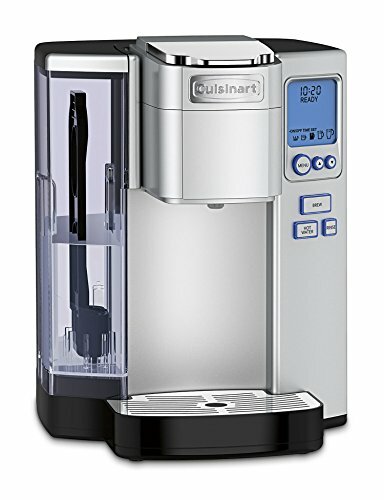 Water volume: Some coffee makers tout being SMART because it draws just the right amount of water for specific coffees. For example, we use Tassimo discs that have a barcode which the machine reads for preparing the coffee. It’s pretty cool, but at the end of the day, the amount of coffee different brands makes is pretty much the same. Turn it on from a distance: With the app, you can start a brew. Appliance manufacturers and tech companies are constantly thinking up ways to add SMART technology to everything. Those are terms that these appliances include to indicate that it’s SMART technology. Then read what it can do and if it sounds like a good idea for you, get it. I know some of the techniques listed below aren’t modern as in recently discovered, but they’re included because they’ve become popular in recent years. 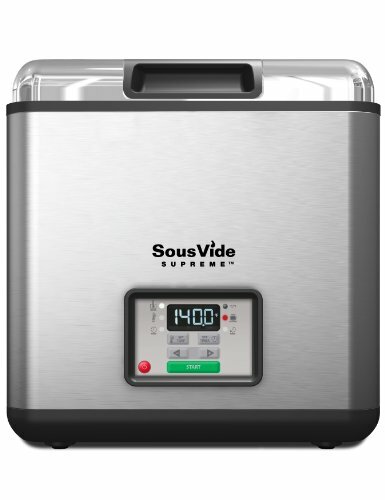 Take sous-vide, for example, it’s been a technique used for many years, but it’s become popular thanks to cooking shows on the Food Network. Interestingly, now Starbux offers sous vide cooked eggs (which aren’t bad). As the “eat healthy, keep fit” mantra goes ever on, the trend of eating as little fat and oils as possible is reaching its peak. 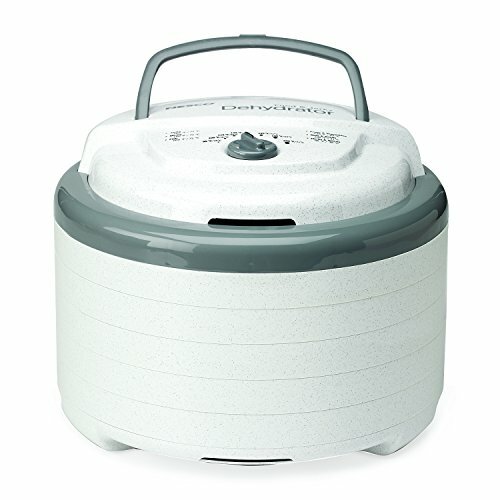 Still, not many kitchen appliances are specially designed for preparing low-fat foods. 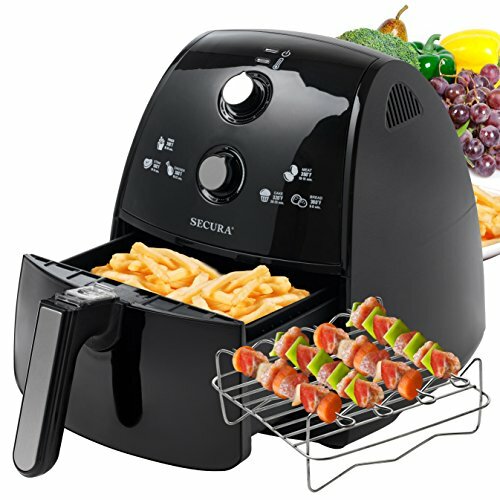 However, the air fryer is certainly an exception. This countertop must-have features a programmable thermostat, activated charcoal air filter, and digital display controls. The cooking process ensures that you don’t need much oil, as the vessel interior is made with non-stick materials. You can even enjoy your favourite fried chicken and country potato wedges without worrying about fat content. In this method of cooking, food is placed in a vacuumed glass jar and cooked in a water bath or steam environment for longer than with other more common cooking methods. The temperature is much lower than with regular cooking, but he food is cooked evenly, retaining the moisture and without overcooking the outside. This pro-level method’s been hard to pull off by home chefs, until Bluetooth-enabled sous-vide accessories for induction cooktops began to appear. The accessory communicates with the cooktop, keeping the temperature even, so you get a time away from the stove. 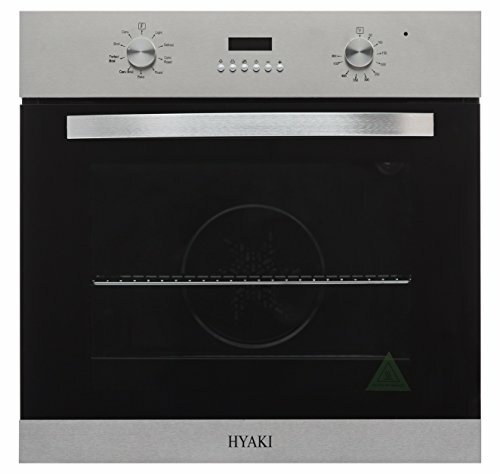 Cooking food much faster than conventional ovens do, steam ovens also help it retain all the nutrients and flavours. The newest generation steam oven from Wolf combines steam and convection modes with a series of pre-set programed recipes so you get the most ideal setup for your dish. The ovens digital technology estimates the amount, size and shape of the food and automatically adjusts the cooking details, whether you’re baking a boulangerie-grade bread, juicy roast, or steamed vegetables. Even leftovers heated up this way get their moist and flavoured second chance. 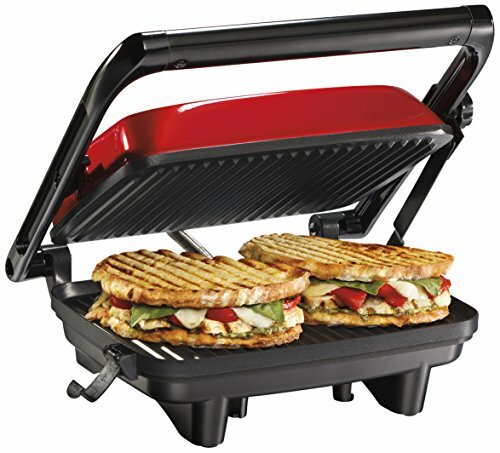 If you like warm sandwiches loaded with meat and other good stuff like cheese, get a panini maker. 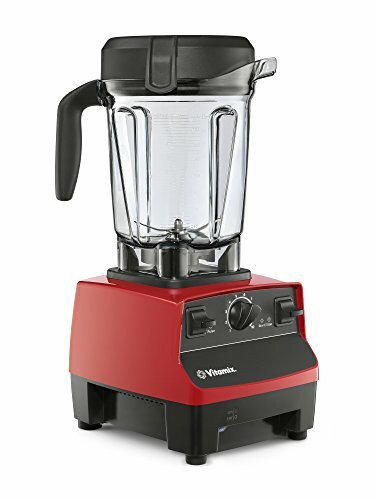 It’s more than just a blender. You can make soup with this thing. We have one and it’s amazing. The sauces and smoothies and soups we enjoy are awesome. The Vitamix cookbook is fabulous. We’d be remiss to not include the famous Insta Pot which has over 28,000 customer reviews on Amazon (FYI, that’s a lot for any product). What does the Insta Pot do? 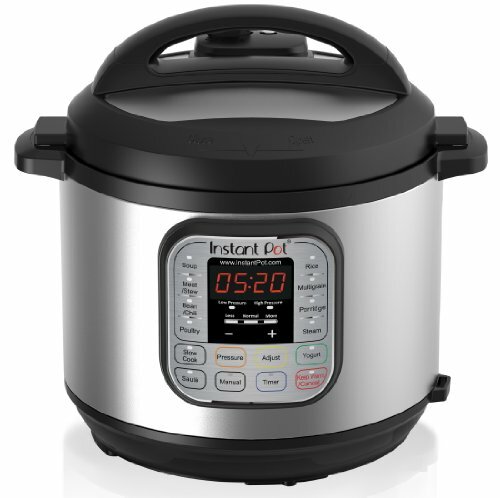 It’s a new generation pressure cooker. It’s safer yet speeds up cooking by 2 to 6 times. I’ve watched many cooking shows where they use a pressure cooker and it looks scary. Apparently, the Instapot solves the scary issue by being much safer. How’s that for a small appliance that costs less than $100?